Interview Questions listed below are most frequently asked questions when you attend for seo job Interview, it is important to concentrate on how an answer is given rather than the actual answer. They often scare interviewees, practice well by reading seo articles, to get a good opportunity in seo field and shine in this industry. 1. Did you work on PPC? 2. Is sitemap usefull for Seo? 3. Do you know HTML Coading? 4. Explain your seo Experience? 5. Can you write HTML code by hand? 6. What Seo tools do you regularly use? 7. Explain importance of meta tags in seo? 8. Why are you leaving your current seo job? 9. Have you attended any seo conferences? 10. What is the difference between SEO and SEM? 11. Give me a description of your general SEO experience. 12. What role do social media play in an SEO strategy? 13. Explain what META tags matter in today's SEO world? 14. What kind of SEO strategies do you normally implement for back links? 15. What do you think is different about working for an SEO agency vs. doing SEO in-house? 16. To what extent do you think seo is effective? 17. As a seo consultant Do you consider yourself as creative? 18. Have you ever prepared proposal for seo clients? if yes can you give me one proposal now? 19. What are the problems you face in seo industy? 20. How do you evaluate whether an seo campaign is working? 21. In what area of seo are you strong ? And what area of seo you are weak? 22. What seo blogs and Forums do you read ? 23. Do you have experience in social media optimization? 24. 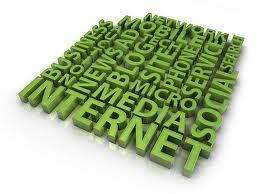 How far do you think social media optimization help a website to achive top position in search engines? 25. As a seo consultant what do you prefer google / yahoo/ bing ? 26. Do you have Knowledge of Static as well as Dynamic Website Optimization ? 27. Do you have experience in copy Writing and can you provide some writing Sample? 28. What is the role of social bookmarking sites in Seo? 29. What do you mean by social networking Traffic? How do they help for website seo? 30. Have you done any Videp Submissions and Video Promotions.? 31. Explain what is page rank and explain page rank algoritham? 32. Explain me the steps you follow for optimizing a website? 33. For what clients you have done seo? Are you successful in doing seo for them? 34. What is link building ? Link buying? 35. What kind of activities do you normally implement for genrating back links for a website? 36. Why do we use nofollow on an internal link? 37. What do you mean by competitive analysis and what techniques do you use? 38. How many target keywords should a website have? Or how many target keywords do you suggest for a website? 39. How do you help your client to decide budget allocation for seo and pay-per-click? 40. Do you have your own blogs? Do you do any seo freelance works ? 41. How do you handle your client if he do not want to implement your seo recommendations? 42. Could you briefly explain the Page Rank algorithm? And what do you think of Page Rank? 43. What do you think of using XML sitemaps? 44. Do you have experience in copywriting and can you provide some writing samples? 45. Explain various steps that you would take to optimize a website? 46. Have you ever had something you've written reach the front-page of Digg? Or Stumbled? 47. Why might you want to use no follow on an internal link? 48. What do you think about link buying? 49. What areas do you think are currently the most important in organically ranking a Web Site? 50. Who are the two key people - who started Google? 51. What is the difference between PageRank and Toolbar PageRank? How to Use Latent Semantic Indexing...? People get worried when they hear about terms such as SEO and LSI, and when they try to find out how to use latent semantic indexing, they get even more worried when they get conflicting messages. On the one hand some say that LSI doesn't exist and therefore can't be used, while others, on the other hand, state that it is critical to your website's success with the search engines. We all know what computer people are like, the way they try to make acronyms of everything. LSI is one of these, although not quite what you would call an acronym. LSI does exist, but not in the form that Google would have us believe, and not in any form that you can use to make your website LSI complaints. Anybody claiming that they can do that are simply playing Google's trick and using big names for what is a very simple thing to do. Without going into any detail as to the mathematical background of LSA, it can be used, and is used, to determine the relevance of a passage of text to any given topic based upon a keyword or multiple word search term. LSA was, incidentally, patented by a group of people in 1988, although the basics were known prior to this. LSI is nothing more than the use of LSA in the indexing and retrieval of information. It is therefore a concept, and you cannot make a â€˜concept compliantâ€™ web page. However, it is all semantics (ha-ha!) and the meat of this article is not to knock holes in the way the terms LSA and LSI are being wrongly used by SEO experts, but inform as to how you can make your web page more likely to be considered relevant to the main keyword for which you want your page indexed. This is very simple and does not warrant all the books now being offered on the subject. Latent semantic analysis is used by Google primarily to detect spam, in respect of excessive repetition of keywords in order to fool the search engines into providing a high listing for that keyword. There was a time when smart people could indeed achieve this simply by writing a meaningless template with rotating synonyms into which any keyword could be multiply inserted by means of software. Thousands of pages could be generated in minutes, each targeting a different keyword. Some were making $thousands daily from Adsense using this method. In fact the principles of LSA to determine the content of web pages were used by a small company called Oingo that changed its name to Applied Semantics who developed a search system to determine the relevance of page content for specific advert placement. They called this Adsense. This company was in turn bought by Google in April, 2003, and Adsense used to replace their own system which was still under development. Adsense, then, was not developed by Google, but purchased by them. The principles were also applied to determine the relevance of on-page text to specific search terms and used in the web indexing algorithm called BigBaddy, used by the Googlebot to index your web pages. BigDaddy appears to view links and relevance as the two major factors among many others that determine your listing position in the index for any specific search term as used by a Google customer. Back to spam. Your web page content is now analyzed by the statistical mathematical analysis tool known as LSA/LSI and indexed according to the meaning of the words in your text. It goes further than just checking for the excessive use of specific words, and no longer searches only for indices of your stated keywords. LSA informs Google of the true meaning of your text, and you cannot hide this by repetitions of a single key phrase. Letâ€™s call it LSI because thatâ€™s what Google calls it. LSI analyzes the character strings in your text and compares them to a large database of words, the meanings of which have been defined. LSI is used to determine the true meaning of homonyms, heteronyms and polysemes. Homonyms are spelled and pronounced the same, but have different meanings, such as lock, with three meanings. A heteronym is a word spelled the same as another, but with a different pronunciation and meaning, such as lead: a metal or to be in front. Polysemes are words spelled the same, and from the same root, but used differently such as a mole â€“ a burrowing animal, or a mole â€“ a spy deliberately placed in an organization. Both moles have the same root, but the words are used in different contexts. LSI or LSA can be used to determine the difference by means of analysis of the other words in the text. All you need do is to look up thesaurus.com, and then use plenty of alternative vocabulary in your content that explains its meaning precisely. You can also use the tilde (~) in a Google search for your keyword. While Google does not highlight exactly correct synonyms, it will give you an indication of what vocabulary it regards as being equivalent. If you do that with â€˜locksâ€™ all you get are â€˜lockâ€™ and â€˜locksâ€™, and all are security locks. Interestingly, when you do it with â€˜canal locksâ€™, Google also highlight â€˜narrowâ€™. This indicates that if your topic is on canal locks, using the word â€˜narrowâ€™ will be to your advantage. If you keep in mind that the main purpose of the LSI component of BigDaddy is to detect keyword spamming, and to determine for what search term the page should be indexed, then it should be obvious to you that the sue of contextually related vocabulary will reveal the semantics of your page. Semantics is nothing more than the meaning of the words you are using, and where your keywords could have more than one meaning, you have to make the meaning clear through the use of related text. Nothing more than that. SEO and LSI are not really related since the term LSI is used in the wrong context here. However, in the way that it is used, if you use good vocabulary, contextually relevant to your keywords, then you will also be using good SEO. How to use latent semantic indexing properly is irrelevant in pure terminology, since you canâ€™t use it on your web page. Google can use it in their algorithm, and you should make your vocabulary as understandable as possible by means of simple words that express the meaning of your text. Pete has his own theories of the way that SEO and LSA can be used to improve your web page listing positions, and more information is available on his website SEOcious and his blog SEOscopy where you will find how to use these concepts to their maximum effect. AOL uses the Open Directory Project as its backbone..! AOL uses the Open Directory Project as its backbone. The Open Directory Project has approximately 2 million web sites, collected and organized by more than 20,000 expert editors worldwide, with more than 3,000 new sites added daily. These editors and America Online are dedicated to an open-source volunteer effort to make the best human-edited Directory on the Web. Inktomi offers, next to the directory listings of dmoz, crawler based results to AOL. Google will deliver "Sponsored Link" results to AOL (as from May 2002).This year AOL celebrates its 25th anniversary as a leading global Web services company. Twenty-five years ago, the company was known as Quantum Computer Services offering an online service named Q-Link. Quantum launched its first instant messenger service in 1989 and welcomed users with that familiar saying 'You've got mail!'. It wasn't until 1991 that Quantum was renamed America Online through an employee contest. The following year, America Online, commonly called AOL, went public on NASDAQ. Starting in 1993, our disk mailings connected thousands of households to the Internet, and two years later we reached our one million member mark. In 1995, AOL extended its service internationally and launched AOL Germany. As more and more users connected to the Internet, AOL began expanding its products and services. In 1995, AOL debuted the AOL.com homepage. The next year AOL reached five million members and introduced a flat-rate pricing program. That same year, AOL launched the Buddy List for chatting and welcomed the Running Man as a new AOLer. Two years later, the Buddy List was inducted into the Smithsonian collection. While our user base grew, so did our company. In 1998, AOL acquired CompuServe and ICQ. The following year, Moviefone and Netscape joined our suite of products. MapQuest became AOL's trusted mapping source in 2000. Then, in 2001, AOL merged with Time Warner to create AOL Time Warner. In 2004, AOL connected advertisers to users using the newly-acquired Advertising.com. America Online made history in 2005 by becoming the first Internet company to win an Emmy. The very next year, we officially changed our name to AOL and began offering our content and services free of charge. Over the next three years, AOL launched new content sites totaling more than 80 sites by 2009. In 2009, the Running Man was inducted into the Madison Avenue Advertising Walk of Fame and was also recognized in the Advertising Icon Museum. Later that year, AOL Inc. became an independent, publicly-traded company. In 2010, we look forward to many more historical moments. Basically, the Google Slap accomplishes several things at once. First, it drives up the price of your pay per click amount, sometimes asking as much as $10USD per click, which most small vendors cannot afford to pay. Second, they may reduce your page ranking (PR), which will automatically mean you have to pay more to have your ads featured through AdWords. Highlight keywords with bold fonts. Do not highlight the entire text! Just highlight each keyword two or three times on the page. Use the «strong» tag for highlighting instead of the more traditional «B» bold tag. Any page image has a special optional attribute known as "alternative text.” It is specified using the HTML «ALT» tag. This text will be displayed if the browser fails to download the image or if the browser image display is disabled. Search engines save the value of image ALT attributes when they parse (index) pages, but do not use it to rank search results. Experience has shown that a high position in search results does not always guarantee large numbers of visitors. For example, if your competitors' search result description is more attractive than the one for your site then search engine users may choose their resource instead of yours. That is why it is important that your Description Meta tag text be brief, but informative and attractive. It must also contain keywords appropriate to the page. In the early days of Internet development, its users were a privileged minority and the amount of available information was relatively small. Access was mainly restricted to employees of various universities and laboratories who used it to access scientific information. In those days, the problem of finding information on the Internet was not nearly as critical as it is now. Site directories were one of the first methods used to facilitate access to information resources on the network. Links to these resources were grouped by topic. Yahoo was the first project of this kind opened in April 1994. As the number of sites in the Yahoo directory inexorably increased, the developers of Yahoo made the directory searchable. Of course, it was not a search engine in its true form because searching was limited to those resources who’s listings were put into the directory. It did not actively seek out resources and the concept of seo was yet to arrive. Such link directories have been used extensively in the past, but nowadays they have lost much of their popularity. The reason is simple – even modern directories with lots of resources only provide information on a tiny fraction of the Internet. For example, the largest directory on the network is currently DMOZ (or Open Directory Project). It contains information on about five million resources. Compare this with the Google search engine database containing more than eight billion documents. The WebCrawler project started in 1994 and was the first full-featured search engine. 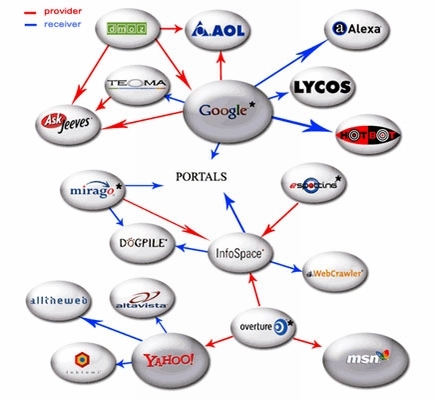 The Lycos and AltaVista search engines appeared in 1995 and for many years Alta Vista was the major player in this field. 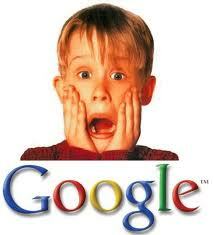 In 1997 Sergey Brin and Larry Page created Google as a research project at Stanford University. Google is now the most popular search engine in the world. Currently, there are three leading international search engines – Google, Yahoo and MSN Search. They each have their own databases and search algorithms. Many other search engines use results originating from these three major search engines and the same seo expertise can be applied to all of them. 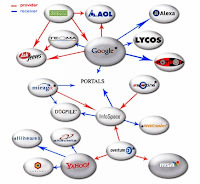 For example, the AOL search engine (search.aol.com) uses the Google database while AltaVista, Lycos and AllTheWeb all use the Yahoo database. components. Specific implementations of search mechanisms may differ. the Spider+Crawler+Indexer component group might be implemented as a single program that downloads web pages, analyzes them and then uses their links to find new resources. However, the components listed are inherent to all search engines and the seo principles are the same. Spider. This program downloads web pages just like a web browser. The difference is that a browser displays the information presented on each page (text, graphics, etc.) while a spider does not have any visual components and works directly with the underlying HTML code of the page. You may already know that there is an option in standard web browsers to view source HTML code. This program finds all links on each page. Its task is to determine where the spider should go either by evaluating the links or according to a predefined list of addresses. The crawler follows these links and tries to find documents not already known to the search engine. This component parses each page and analyzes the various elements, such as text, headers, structural or stylistic features, special HTML tags, etc. This is the storage area for the data that the search engine downloads and analyzes. Sometimes it is called the index of the search engine. Results Engine. The results engine ranks pages. It determines which pages best match a user's query and in what order the pages should be listed. This is done according to the ranking algorithms of the search engine. It follows that page rank is a valuable and interesting property and any seo specialist is most interested in it when trying to improve his site search results. In this article, we will discuss the seo factors that influence page rank in some detail. The search engine web server usually contains a HTML page with an input field where the user can specify the search query he or she is interested in. The web server is also responsible for displaying search results to the user in the form of an HTML page. Flickr is a popular photo sharing service which Yahoo! purchased on 29 March 2005. A combination of advertising services owned by Yahoo!. Yahoo! 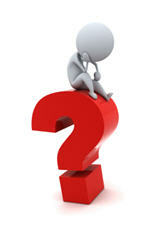 Answers is a service that allows users to ask and answer questions other users post. It competes with Ask MetaFilter. Yahoo! Answers uses a points system whereby points are awarded for asking and answering questions, and deducted for deleting a question or answer, or getting reported. Yahoo! Messenger, Yahoo! Answers and the user's Yahoo! 360° profile. Yahoo! Babel Fish is a translation service. Yahoo! Bookmarks is a private bookmarking service. All Users from Yahoo MyWeb were transferred to this service. Yahoo! Buzz is a community based publishing service much like that of Digg, where users can buzz about certain stories and allow them to be featured on the main page of the site. Yahoo! Developer Network offers resources for software developers which use Yahoo! technologies and Web services. Yahoo! was first formed as a web directory of web sites, organized into a hierarchy of categories and subcategories, which became the Yahoo! Directory. Once a human-compiled directory, Yahoo! Directory now offers two methods of inclusion: Standard, which is free and only available for non-commercial categories, and Express, which charges over US$300 for a quick inclusion in the directory. Yahoo! Finance offers financial information, including stock quotes and stock exchange rates. Yahoo! Games allows users to play games, such as chess, billiards, checkers and backgammon, against each other. Users can join one of various rooms and find players in these rooms to play with. Most of the games are Java applets, although some require the user to download the game, and some games are single-player. Yahoo! acquired a one person effort called ClassicGames.com in 1997, which became Yahoo! Games. Yahoo! Groups is a free groups and mailing list service which competes with Google Groups. It was formed when Yahoo! acquired eGroups in August 2000. Groups are sorted in categories similar to the Yahoo! Directory. Yahoo! Groups also offers other features such as a photographic album, file storage and a calendar. Yahoo! Kids is a children's version of the Yahoo! portal. It also offers some online safety tips. Find local businesses and services and view the results on a map. Refine and sort results by distance, topic, or other factors. Read ratings and reviews. Uses hCalendar and hCardmicroformats, so that event and contact details can be downloaded directly into calendar and address-book applications. Yahoo! acquired Four11 on 8 October 1997, and its webmail service Rocketmail became Yahoo! Mail. Since Google released Gmail on 1 April 2004, Yahoo! Mail has made several improvements to keep ahead of the competition, which also includes MSN Hotmail and AOL Mail. Yahoo! Mail is the only web-based email service that offers unlimited storage for all users. On 9 July 2004, Yahoo! acquired an e-mail provider named Oddpost and used its technology to create Yahoo! Mail Beta, which uses Ajax to mimic the look and feel of an e-mail client. 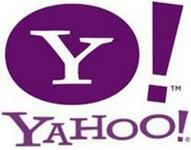 On 19 June 2008, Yahoo Mail introduced its 2 new email domains: ymail.com and rocketmail.com ("@ymail.com" and "@rocketmail.com" athttp://mail.yahoo.com). Yahoo! Maps offers driving directions and traffic. Yahoo! Messenger is an instant messaging service first released on 21 July 1999, which competes with AOL Instant Messenger, MSN Messenger, Google Talk, ICQ and QQ. It offers several unique features, such as IMvironments, custom status messages, and custom avatars. On 13 October 2005, Yahoo! announced that Yahoo! Messenger and MSN Messenger would become interoperable. Yahoo! Mobile is a mobile website used predominantly in the UK. It offers mobile downloads such as ringtones. Yahoo! Movies offers showtimes, movie trailers, movie information, gossip, and others. Yahoo! Music offers music videos and internet radio (LAUNCHcast), a for-fee service known as Yahoo! Music Unlimited and the Yahoo! Music Engine- which has been sold to Rhapsody on Oct. 31st, 2008. Yahoo! News news updates and top stories at Yahoo! News, including world, national, business, entertainment, sports, weather, technology, and weird news. OMG is a Yahoo! Entertainment online tabloid with most content provided by Access Hollywood and X17. Yahoo! Parental Controls are special controls given by parents for their children, closely associated with Yahoo! Kids. Yahoo! Personals is an online dating service with both free and paid versions. However, the free service is limited, as only paying users can contact users they meet through Yahoo! Personals and exchange contact information. Yahoo Pipes is a free RSS mashup visual editor and hosting service. Yahoo! Publisher Network is an advertising program, which is currently in beta and only accepts US publishers. Yahoo! Real Estate offers real estate-related information and allows users to find rentals, mew houses, real estate agents, mortgages and more. Yahoo! Search is a search engine which competes with MSN Search and market leader Google. Yahoo! relied on Google results from 26 June 2000 to 18 February 2004, but returned to using its own technology after acquiring Inktomi and Overture (which owned AlltheWeb and AltaVista). Yahoo! Search uses a crawler named Yahoo! Slurp. Yahoo! Search Marketing provides pay per click inclusion of links in search engine result lists, and also delivers targeted ads. The service was previously branded as Overture Services after Yahoo! acquired Overture in 2003. Yahoo! Shopping is a price comparison service, that allows users to search for products and compare prices of various online stores. Yahoo! Small Business offers web hosting, domain names and e-commerce services for small businesses. Yahoo! Smush.it optimizes digital images by removing unnecessary bytes and reducing their file size. Yahoo! Sports offers sports news, including scores, statistics, and fixtures. It includes a "fantasy team" game. Yahoo! Travel offers travel guides, booking and reservation services. Yahoo! TV offers TV listings and scheduled recordings on Tivo box remotely. Yahoo! Video is a video sharing site. Yahoo! Voice was formerly known as Dialpad. It is a Voice over IP PC-PC, PC-Phone and Phone-to-PC service. IndexTools was acquired by Yahoo! and re-branded as 'Yahoo! Web Analytics'. Yahoo! Widgets is a cross-platform desktop widget runtime environment. The software was previously distributed as a commercial product called 'Konfabulator' for Mac OS X andWindows until it was acquired by Yahoo! and rebranded 'Yahoo! Widgets' and made available for free. Social networking services. Popular in Vietnam. 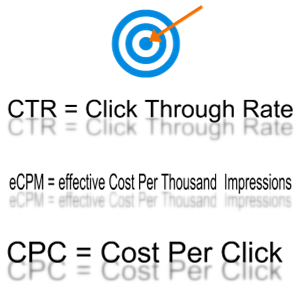 Do you know The Meaning of CTR, eCPM & CPC? Clickthrough rate (CTR) is the number of clicks your ad receives divided by the number of times your ad is shown (impressions). 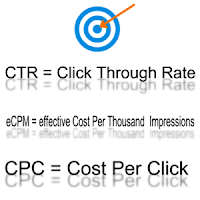 Your ad and keyword each have their own CTRs, unique to your own campaign performance. A keyword's CTR is a strong indicator of its relevance to the user and the overall success of the keyword. For example, a well targeted keyword that shows a similarly targeted ad is more likely to have a higher CTR than a general keyword with non-specific ad text. The more your keywords and ads relate to each other and to your business, the more likely a user is to click on your ad after searching on your keyword phrase. A low CTR may point to poor keyword performance, indicating a need for ad or keyword optimization. Therefore, you can use CTR to gauge which ads and keywords aren't performing as well for you and then optimize them. CTR is also used to determine your keyword's Quality Score. Higher CTR and Quality Score can lead to lower costs and higher ad position. From a publisher's perspective, the effective cost-per-thousand impressions (eCPM) is a useful way to compare revenue across different channels and advertising programs. It is calculated by dividing total earnings by the number of impressions in thousands. For example, if a publisher earned $180 from 45,000 impressions, the eCPM would equal $180/45, or $4.00. However, please keep in mind that eCPM is a reporting feature that does not represent the actual amount paid to a publisher.